“The Canadian housing market appears to have achieved “a soft landing”. More to follow, you can be sure. “Awesome deal. Standard size lot, close to (but not bordering) 49th ave.
Again, buy the home not the stats – there are deals out there. To those who expect ongoing relentless strength in the Vancouver market, homes will appear cheap, then cheaper, then cheaper still, as the mania unwinds. ‘eyesthebye’ is a prolific poster at RE Talks, and a very vocal bull, who has widely publicized having bought a SFH in the Knight Street area of East Vancouver for, we believe, $600+K in early 2009. ‘eyes’ is on record as having claimed that (1) SFH prices cannot possibly drop more than 15% in Vancouver, and that (2) SFHs in Vancouver will never, ever, be available for less than $500K at any point in future. Needless to say we disagree on both counts. Expect to see bottom calls from bulls all the way down. As a commenter on these pages suggested recently, it would be worthwhile archiving these hopeful predictions in one place, and we’ll use this post for that purpose. Use the category and sidebar links for convenient access. Please forward all ‘Premature Calls Of “Bottom”‘ you may spot, and we’ll pop them up above, for the record. This entry was posted in 26. Premature Calls Of "Bottom". Bookmark the permalink. When May Stats come in next week I think we’ll be pretty close to 15% off which I consider just the appy of a 10 course meal. VREAA is spot on about a 50-66% correction which will bring us in line with late 90’s/early 00’s pricing. 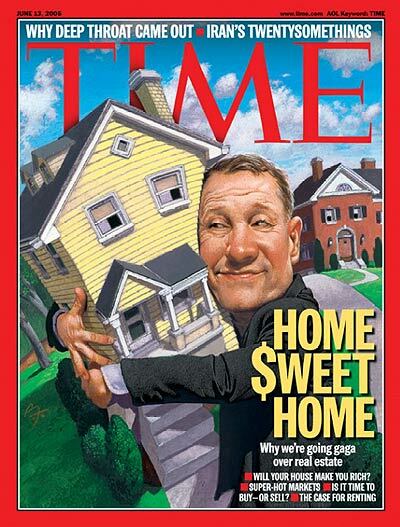 Also, that will bring home prices back in line with incomes and rent prices. I service the Dodge Sprinter Van’s that many home contractors and sub trades drive and they are saying buiness is very slow. How red was my face when prices went up in 2009, then 2010, and finally 2011. I got crickets on the picture on that RET thread, so I posted it myself. Thanks! New trend? The simple acknowledgement of a “correction” from the other camp voiced publicly. Eyes, that’s AWESOME! I can always count on you for a good laugh. Another poster laughed off the very notion of sub-prime in Canada. And here’s a direct quote that really put me in my place: “He’s complaing (sic) about people getting a mortgage, lol, in most countries people borrow money to buy a house.” Yep, that truly undermined my argument. Good thing I was straightened out. There was more, of course. It is, after all, the bull den of the BPOE. And I must admit I eventually joined in the lowbrow frivolities by calling them “brainwashed zombies.” But in the end I was pleasantly surprised there were quite a few supporters too (the foremost being Taipan). RET recently purged all its old posts. There was some great stuff in there from freako, yogurt, et al now gone. Too bad. The forum provides little meaningful information, unfortunately, but hope springs eternal. Some of the comments by registered are freaking hilarious. All of them will later claim to have seen it coming all along. I promise. Some, others will blame external factors and consistently claim the deals are amazing. They will say they don’t understand why props aren’t flying off the shelves. They will blame human nature for getting the simple concept of buying low bass-ackwards. If nothing else it provides for entertaining irony. Until homeowners get their property assessment (next year) and the value is down they’ll remain in denial, especially when they realize that their taxes will be more or less the same. 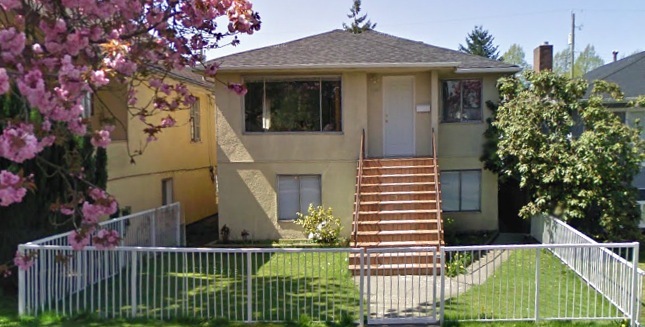 Back in the ’80s our assessment went from $325,000 one year to $134,000 the next (Kitsilano, by the way). A prediction… Bears chortling with each PrematureBottomCall will resort, en masse, to taunting the Bulls in the ancient and noble tradition of Maori Warriors… by flagrantly executing the Whakapohane. Didn’t we discuss this place before? It is a former grow-op. In my neighborhood, Mt. Pleasant, lots of “sold” stickers as well, and the properties seem to move quickly. Eyesthebye said that the correction in 08-09 gave her an opportunity to get into the market. She should take this opportunity to get out. There are no signs that prices will be rising anytime soon. Eyesthebye is a she? Didnt know that. I assumed she was a he. Not that matters, but I think she mentioned that she bought some investment properties too? Oy its gonna be a bump ride down. ETB claims they don’t speculate in housing, only use it for its intended purpose. Yet they cannot resist an opportunity to brag about their paper gains, and supposed investment brilliance by buying in 2009. Seems to know a lot about medical but also attuned to the local RE market. Quite the polymath. Ha ha ha. Wow. So wrong! As we are currently looking for a bigger place, I keep seeing a lot of sellers staging their places and then failing to sell. The response seems to be to rent them out…while continuing to sell. I think these sellers need a dose of reality that nobody is going to rent a “home” while it is listed…unless it is such a screaming deal. Is this actually a nefarious listing? Is the realtor posting the craigslist ad actually trolling for buyers to say “If you can afford $2400/month, you can afford to buy this place for a little more”? There is just too many tasty treats in there!!! So it was a grow op. I thought everyone has one in Vancouver. Isn’t that the only way to pay off those horrendous mortgages? Is that a realtor photo? They could have had the common decency to straighten it. It’s off Google Earth, and I didn’t take time to square it in Photoshop. Perhaps still will. Couldn’t find any trace of it on the web other than a thumbnail. All told my mortgage debt was about 200K, including a reno piece, and the monthly payments were not onerous, but they were grinding, they just keep taking out of my after tax, month after month, i couldn’t handle it and paid the thing off in 10 years by paying extra. First time without a mortgage and so far the wife is spending all, but there was a lot of stuff she paid for while i was grinding out the mortgage. Sorry for the anecdote, the point is I cannot imagine having a $400K, $500K or $600 mortgage on this place. Grinding out a huge chunk of my after tax income over to CIBC every month, A huge fraction of my working worth for 30 years, and then this is what you have to show for it? I mean you have to live somewhere and perhaps if you paid oh, $250K for it you could fix it up nice inside, but then you would have some money to burn. My brother tried this, bought a $700K house in Burnaby, but then got pretty tired of cranking out the mortgage payments, had no money left over and moved back to Calgary. He unloaded for about what he paid last fall, Man if the price was also falling?? The problem with Gord’s comment is that it doesn’t carry too much weight (except to people who are renting like him). What I see is that he cashed in on a property that had a hell of an appreciation, thinking the market had already peaked, hoping that he was able to get into home ownership again when the market comes to an imminent crash. He kept waiting and waiting and not only did the market not crash, it kept shooting up higher and higher, and now he has no hopes of owning his house again, and is thus angry. 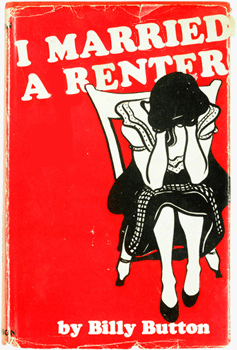 I always chuckle so hard that renters take his words like the gospel truth. So what does it take to make an argument that carries weight? If I say “prices will go up and up and up” that carries weight, but if I say “prices will go down sooner than later based on a rational analysis” that doesn’t? Interesting logic. What I can see is that an increasing number of worried people are reading the bear blogs these days. It seems to me that the mood is shifting and you’d better listen to what bears have to say. I just the see the same old posters on here. Makaya, Gord’s comment would carry more weight if he was a home owner, otherwise people would just see him as an envious, angry renter. No, thanks. I read the bear blog just for fun. I do my own research, devise my own strategy, implement my own plan and follow my guts and trust me, it has worked out wonderfully.